I have always been in admiration of handmade products. And could never imagine the pride and happiness one must feel after creating a piece of art on their own. Last Tuesday, I finally experienced what it exactly feels like! I was privileged to have the opportunity of attending a media event on behalf of So-Saree at The Cutting Room. Based in the uber chic neighborhood of Kitsilano, this super creative space is home to Production as well as Fashion Design and Merchandising Academy. 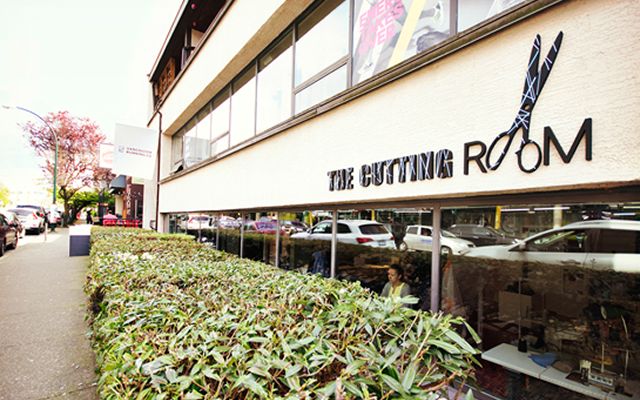 With 25 years of experience in the fashion and apparel industry Liza Deyrmenjian, a New Yorker and owner of The Cutting Room runs this double duty business along with her super talented team. 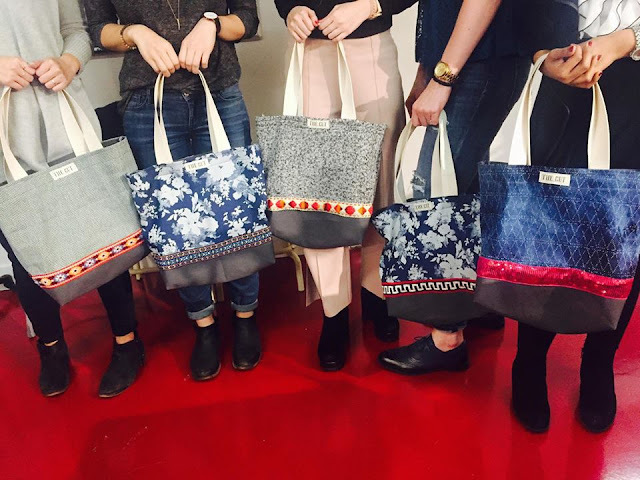 When I got to the Cutting Room I met a few other bloggers who were equally excited about designing a tote bag, but the one other thing that we secretly shared was the nervousness of using a sewing machine for the first time. Liza assured us that we’d be fine and we all wanted to believe them. So it started with first choosing the material for our tote bags from the variety of options available. I personally found this part the toughest as it was difficult to pick one item among all the beautiful ones available. After making our almost satisfied choices everyone moved to their sewing machines. 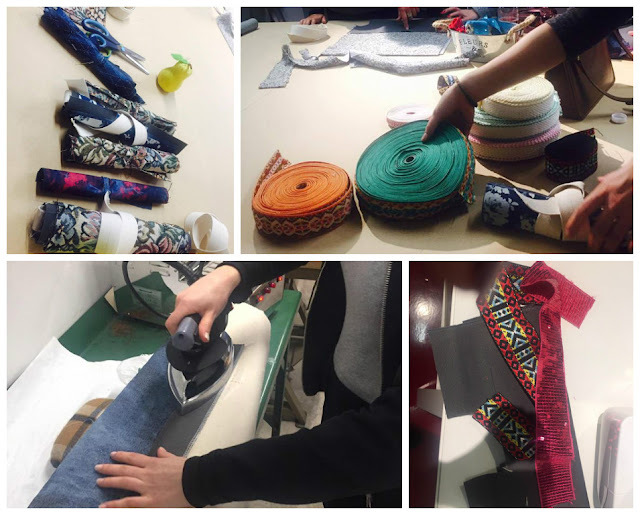 Liza and her team gave the group a step by step tutorial of the sewing process. As we progressed through the way and actually witnessed our bags coming into shape and life the joy and confidence kept increasing. The energy and enthusiasm with which Liza and her team taught us was so impressive. They enjoyed the process as much as we did and so was the energy contagious in the room. We made mistakes but when the bags were finally ready everyone was on cloud nine. Each one of us was super proud of our creation. 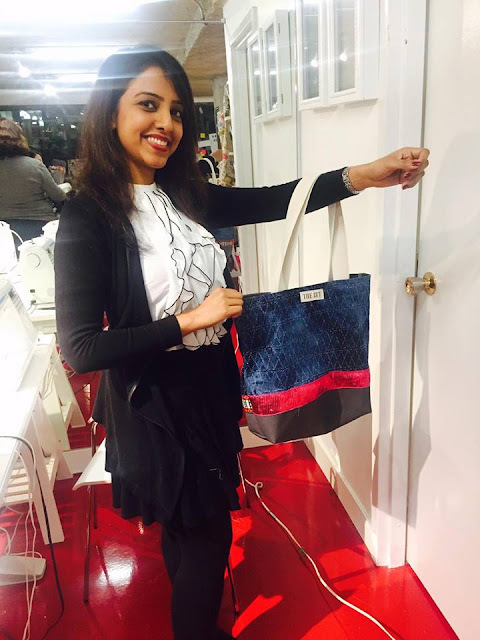 I couldn’t believe that in just less two hours I designed and stitched my very own tote bag. As I went home that night feeling accomplished and a happy heart and mind, I couldn’t thank Liza and her team enough for the most productive and enjoyable evening I’ve had in a recent time. 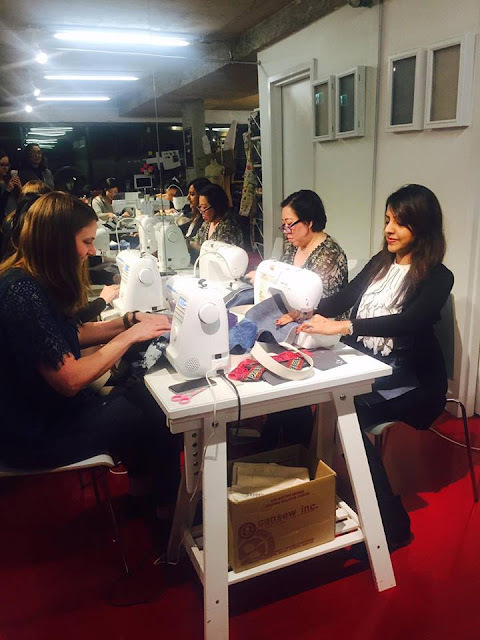 Apart from conducting these fun workshops for a perfect girl’s night out (click here to book one), The Cutting Room offers a variety of classes for kids and adults. For more details about the classes please visit this link or click Classes. 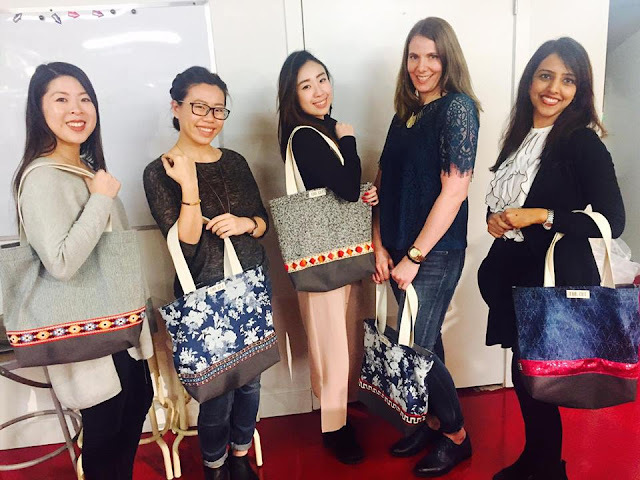 Not just that you could also launch your Own Line of Fashion with this 6-weekcourse. 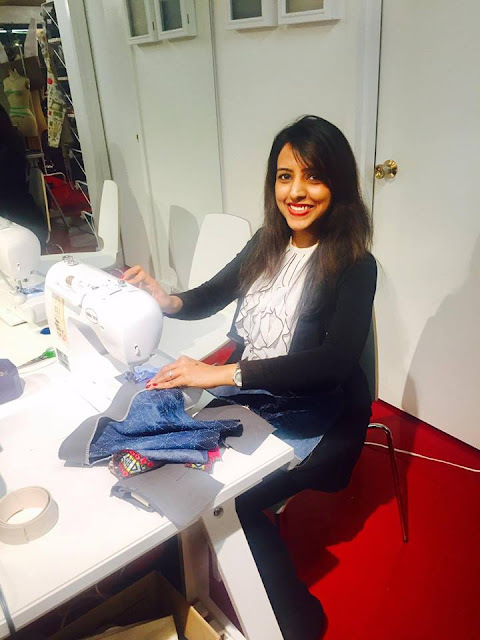 Whether you’re interested in fashion designing, pattern making, sewing or just want to venture into the field of fashion, The Cutting Room is a one stop shop for all your needs. I love the bag, and it's so unique! What a fun way to spend your evening. I love the bag, and it's so unique!